Peaceful Desert Living… Surrounded By Excitement! 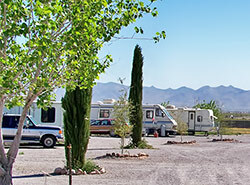 Tradewinds is a comfortable and welcoming RV park near Kingman, Bullhead City, Laughlin & Las Vegas. We're convenient to all of the exciting attractions, but just far enough away to enjoy the peace & quiet of Arizona desert RVing. We welcome RV groups and also offer incentives for those interested in installing a park model here in our beautiful park. Contact us today for more information. You'll Love it at Tradewinds! 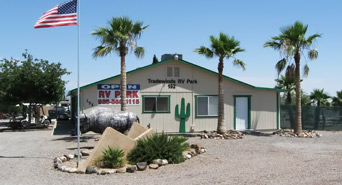 Our Golden Valley, AZ RV Park is an ideal base camp for Las Vegas, Laughlin, Bullhead City, Kingman and Route 66 RVing. You'll love our clubhouse & game room, patio & BBQ area and large community fire pits. Besides great activities here in the park, we're surrounded by world-class excitement. 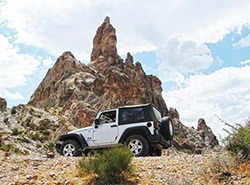 Whether you're into Jeep & ATV trail riding, hiking, casino gaming, or simply relaxing in our beautiful desert, we're close to great area attractions to suit every interest. Looking for RV parks near Kingman, AZ? 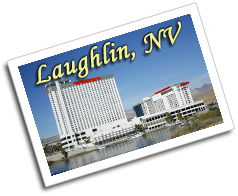 How about an RV park near Laughlin, NV and Bullhead City, AZ? 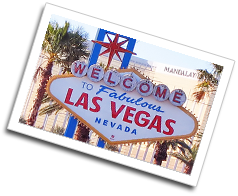 Or even RV parks near Las Vegas, NV? How about one park that fills the bill for all of them? Tradewinds RV Park in Golden Valley, AZ is the place! With our location only 15 miles from Kingman and 17 miles from Bullhead City & Laughlin (with its 11 casinos & lots of shopping), you won't find a more centrally-located RV park in Western AZ, close to tons of great attractions. Las Vegas, Hoover Dam and Lake Mead are an easy day trip too! You'll love the atmosphere we've created with appealing landscaping and antique farm equipment display. With our high desert climate, peaceful location and great facilities, you won't find a more comfortable and convenient home base for your RV vacation in the AZ desert. Contact us today to make your reservation.